Trade Lines are lines of credit on your credit report, your credit card, home loan, auto loan, student loans etc etc. are all considered credit tradelines. This is how it works, we add tradeline(s) to your SSN or SCN credit report to increase the credit score, add credit stability, decrease your overall owed debt ratio and most importantly to make you credit worthy in the eyes of banks and lenders. The process is completely legal and the way we accomplish this is by adding you to a credit card with ageg history and low balances. This process is also know as “credit piggybacking”. The vast majority of our tradeline inventory are authorized user lines, though we do now offer Primary tradelines but those take 45 to 60 days to post and require that you have a lot of patience. Our trade lines report as “open accounts” for a period of 90 days, after that period they will report as “closed accounts” but will maintain the high credit score. We guarantee all lines to post as “open accounts” for a period 90 days but if you require more time please request a quote for a longer period. All tradelines post between 14 days after the card statement date. Please be patient and allow 14 days before contacting us. We guarantee the posting of all tradelines on at least 2 of the 3 credit bureaus. If a line only posts to one bureau we will attempt to merge it on a 2nd bureau or issue a partial refund. Please understand that we are not performing magic here and from time to time cards either get shut down or do not post, we ask that you be patient going into this and understand that the process could or may have a delay of a few days or even a couple of weeks. You could search 10 different companies that sell trade lines and find 10 different prices for the same line. Usually, however, they are all within the same range; plus or minus $100.00. Since prices are nearly all the same, the question of price becomes “what am I getting for this fee?” That’s where Taylor Perez leads the pack. 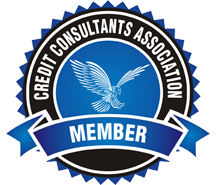 We evaluate your goals, analyse your credit report, make recommendations, assist with credit repair related needs. As the pioneer of business trade lines, we have developed a reputation of trust and simplicity. Our clients can rest assured that they will get results.. This feature of customer-centric focus in our program has proved itself to be how we earn our clients ongoing trust and business.